Delve into Spanish history and culture on this luxury tour, sampling sumptuous wine in Ribera del Duero and exploring the tastes and sights of Madrid, Segovia and Salamanca. Segovia: Convento de los Capuchinos Located in the noble heart of Segovia and enjoying sweeping views of the Eresma Valley and its boulevard, the Eurostars Convento Capuchinos is home to 62 luxury rooms, a gourmet restaurant, a spa with jetted pool, a sauna, a Turkish bath and relaxation area, meeting rooms and a spacious garden area. The original building consisted of a church, a convent, and the founders' residence. The church has been converted into a gourmet restaurant, and the other two areas house the rooms and the hotel's common services. The hotel has received a complete interior transformation, but its exterior remains unchanged. The former orchard is now a wonderful garden with broad terraces and magnificent views. Ribera del Duero: Abadia Retuerta, Le Domein In an endeavour to establish Christianity in Castile during the Reconquest, the Count of Castile commissioned the construction of a series of convent-fortresses. As a result, in 1146, the Premonstratensian order built the monastery of Santa Maria de Retuerta in a beautiful enclave on the banks of the Duero River. Abadia Retuerta is a mute witness to history and a place where the land and the vine come together. The duty of our Duero Valley winery is to respect and preserve the legacy we have inherited in one of the top wine regions of Spain, our surroundings, the monastery and its wines. In the ancient hall, LeDomaine's 27 double rooms and 3 suites have been carefully renovated and styled to contemporary five-star standards with every amenity you would expect in a luxury hotel. Each accommodation has generous views overlooking wide expanses of vineyards and vividly changing Spanish skies. Salamanca: Hacienda Zorita Hacienda Zorita is one of the most charismatic wine hotels in Spain, surrounded by an idyllic field full of holm-oaks, olive trees, and vineyards. Its La Casa Grande holds 17 double rooms with views over the Tormes river. Each room combines hacienda's heritage with one of the finest collections of Dominican religious art. The Haciendas Club features handmade rum produced exclusively for guests and members, and an impressive dry house holds over 7000 Iberian Pata Negra acorn-fed hams. Madrid: The Principal Featuring 76 elegantly appointed rooms and a stunning rooftop terrace, the Principal Hotel boasts some of the best panoramic views of downtown Madrid. 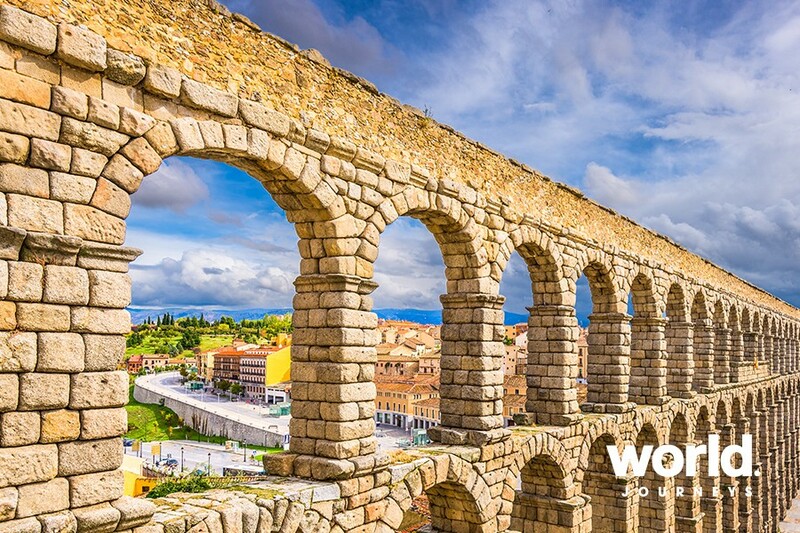 Day 01: Madrid > Segovia (D) On arrival in Madrid, you will be welcomed by your local expert. 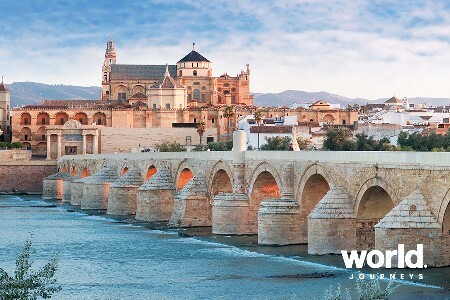 Begin exploring the city on a tapas tour, where you will wander the streets and enjoy tasting samples. Later, drive to Segovia, known for its Aqueduct, Palace & Cathedral, and also for its famous suckling pig. This evening, enjoy dinner in the Villena restaurant to celebrate your arrival. Overnight at hotel. Day 02: Segovia - Ribera Del Duero (B, L, D) After breakfast, meet your guide to explore Segovia. 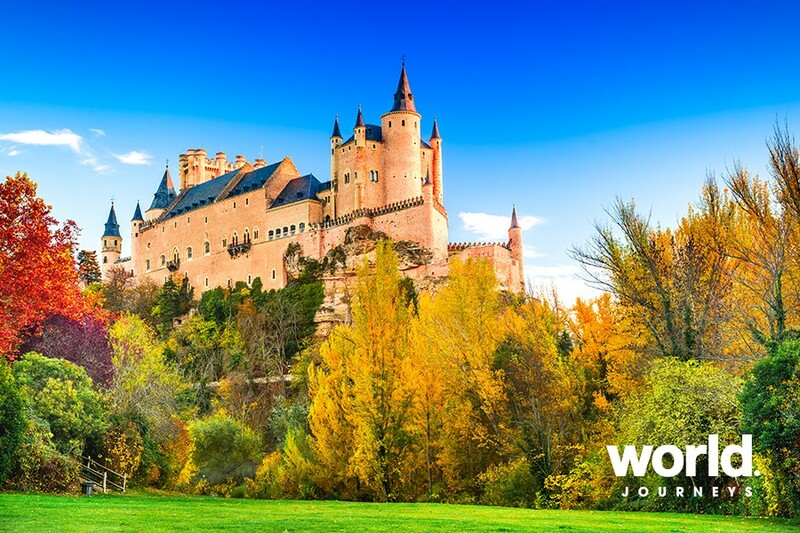 Visit the Alcazar, Cathedral, and Aqueduct before following the Royal Path to La Granja. 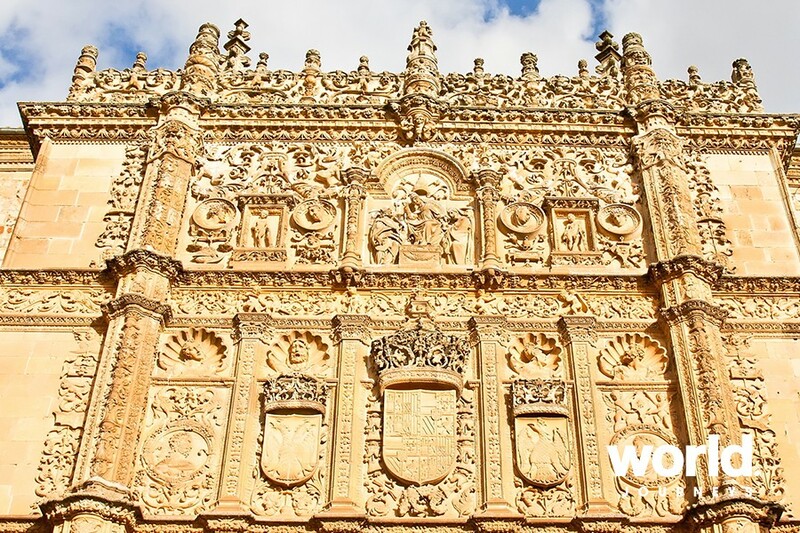 Dine in the famous Meson de Candido restaurant for lunch, then drive toward the wine region of Ribera Del Duero for a winery tour in a 4x4 vehicle. Get to know the local specialty and enjoy an overnight stay in a wonderful Abbey turned into a hotel. Day 03: Ribera Del Duero - Salamanca (B, L, D) After breakfast, visit another winery before being transferred to the Ambivium restaurant for lunch. 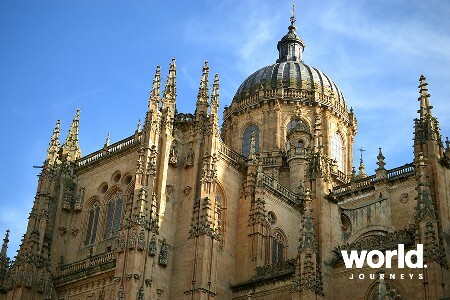 Later, continue your trip towards Salamanca. On arrival, check in to your hotel and relax before dinner. You will enjoy "Menu La Concordia", a 5 dish menu alongside 5 wines with a sommelier. The dinner lasts around 2 hours. Overnight at hotel. Day 04: Salamanca - Madrid (B, L, D) Breakfast in the hotel before a sightseeing tour of Salamanca city. 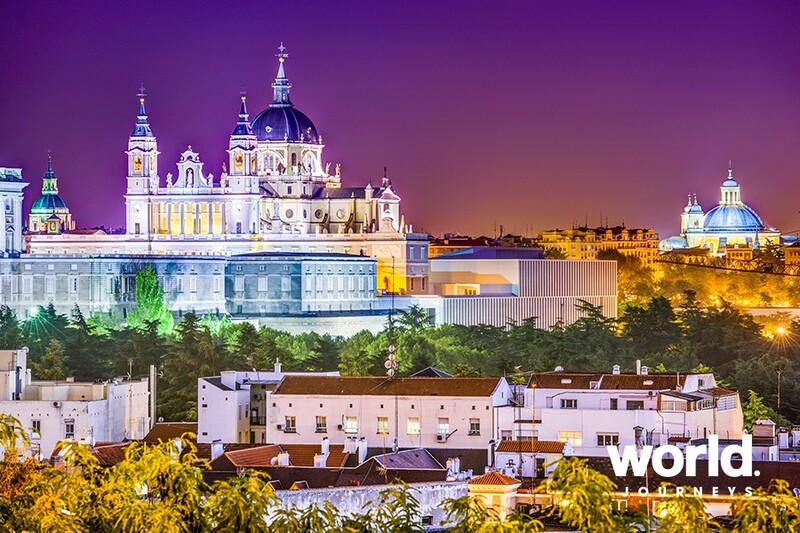 Begin in the Plaza Mayor, then visit the cathedrals and the university. You will enjoy the local delicacy, Jamon deGuijuelo (the Spanish ham), and indulge in a delicious lunch with prime meat cuts and local wine. 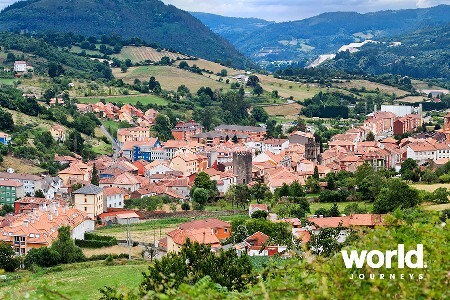 After, you will be transferred to Madrid, driving through the green landscapes of Sierra de Guadarrama. 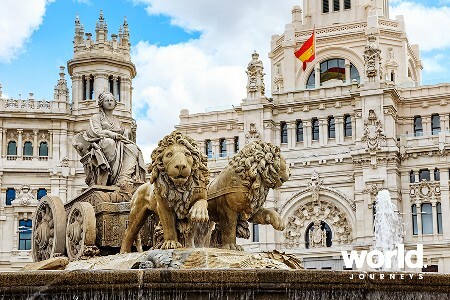 On arrival in Madrid, check in to your hotel and freshen up before taking a walking tour of the city. 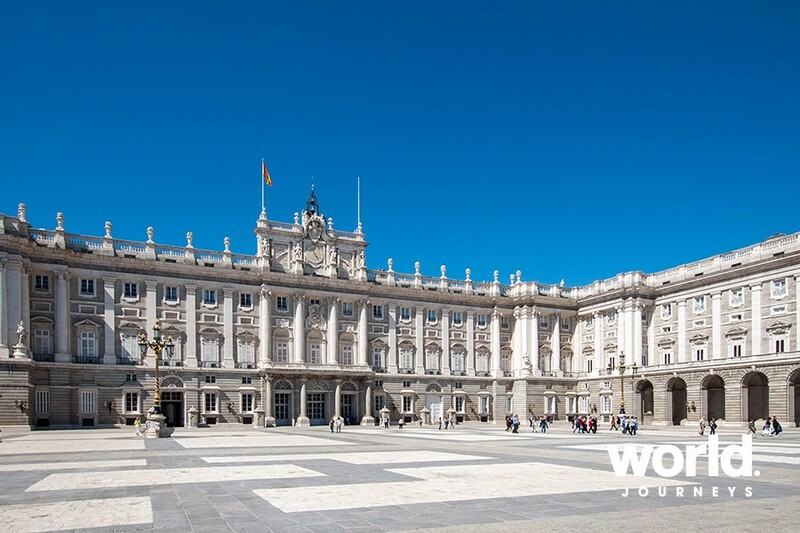 Visit the Plaza Espana, the Royal Palace and the historical Habsburg city centre. This evening, dine in the hotel restaurant. Overnight at hotel. Day 05: Madrid (B) After breakfast, explore the cultural side of Madrid. 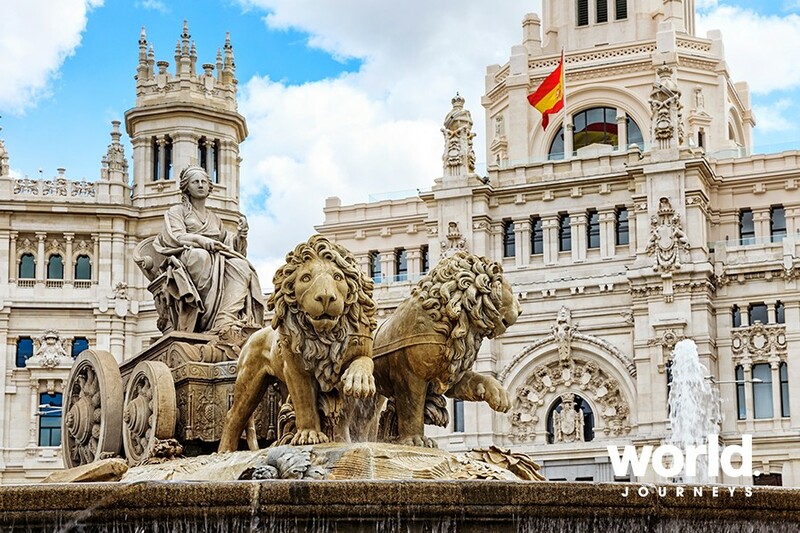 Walk down Gran Via Avenue where you will see many relevant buildings while making your way to the Prado Museum. 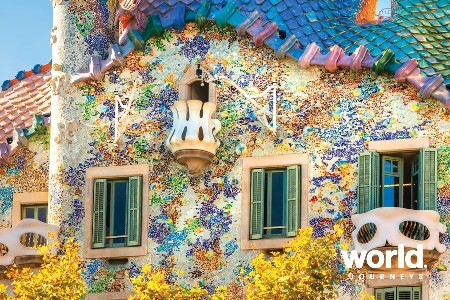 Here you will explore the paintings and origins of this famous museum before returning to your hotel. Time at leisure to explore the city on your own. Day 06: Madrid (B) Breakfast in the hotel. Enjoy your last morning in the city, checking out from your hotel at 12pm. Transfer to the airport for your onward flight.